People used to follow a straightforward path in their careers from education to steady employment and on to retirement. But the world has changed, and it’s more important than ever to know how to adapt. 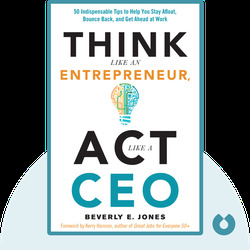 In Think Like an Entrepreneur, Act Like a CEO (2015), Beverly E. Jones outlines her tips for becoming a more agile, resilient professional in charge of her or his career. Beverly E. Jones has followed a winding career path of her own from writer to leader of university programs for women, to becoming a barrier-breaking female attorney in Washington. 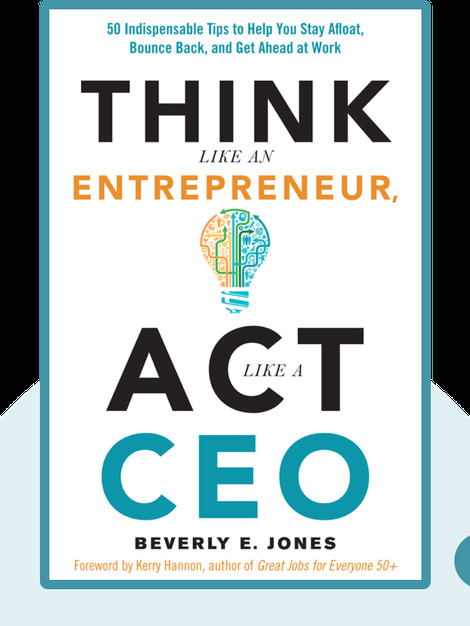 She has worked as an executive coach and leadership consultant since 2002.